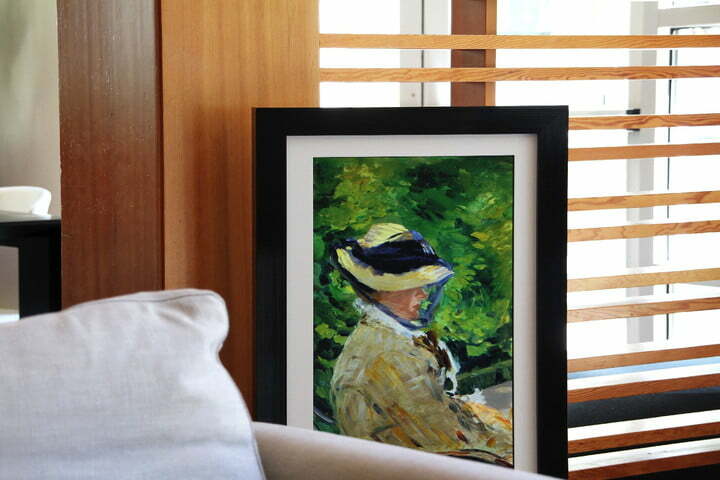 Back in the 1990s, the idea of having a painting on your wall which was actually a digital display was something only the likes of Bill Gates possessed. Today, digital picture frames are such old news that your grandparents might own one without you raising too much of an eyebrow. The news, then, that yet another digital display has popped up on Kickstarter is hardly the kind of thing to get your blood pumping — except that Canvia has a pretty darn good hook to make it stand out from the crowd. As its creators describe it, Canvia uses proprietary image processing and built-in sensors which adapt curated art to your room’s ambient visual conditions and décor. To put that into real-world terms, it means that just as is the case with, for instance, a real oil painting on canvas, it will subtly alter its appearance to reflect surrounding light sources. That should make it superior to many digital displays when it comes to showcasing the color, texture, and brushstrokes of a particular artwork. As an example, Stimson said that when you cover your windows and turn on artificial lights at the end of a day, Canvia’s display will immediately adapt in a way that means it looks less like a screen than just a regular piece of art. The other big selling point over regular digital photo frames is the library of content which you can choose to display, rather than only pictures you upload yourself. The service plans to offer a free tier — with works from more than 3,000 artists, ranging from old masters to modern and contemporary art — along with a premium subscription tier adding famous and upcoming current artists, illustrators, and photographers. An accompanying app will even recommend images based on your surroundings and previously expressed preferences. As ever, we offer our usual warnings about the risk inherent in pledging crowdfunding campaigns. However, if you’re keen to get involved, head over to the Canvia Kickstarter page. A Canvia display starts at $250, which includes a three-month subscription to the service’s premium tier alongside the display. Shipping is planned to take place in January. Published on Fri, 13 Jul 2018 18:38:14 GMT, © All rights reserved by the publisher.